Categories: 0…20 mA, 2 channels, 4,0 kV, 600 VAC/DC, Input signal, No. Of Channels, Passive, Standard, Type of isolator, Isolators, No, Isolators. 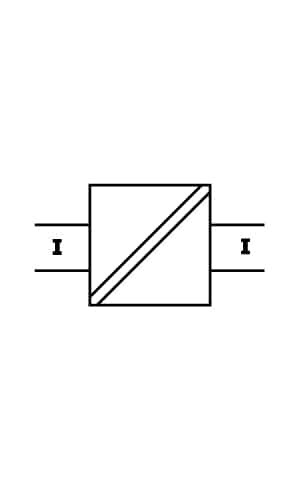 IsoPAQ-22L is a 2-channel loop powered isolator used for electrical isolation of 0(4)-20 mA signals to avoid measurement errors due to different voltage potentials or ground loops in an instrument installation. The isolator need no power supply, which contributes to reduced installation costs compared to isolation transmitters. 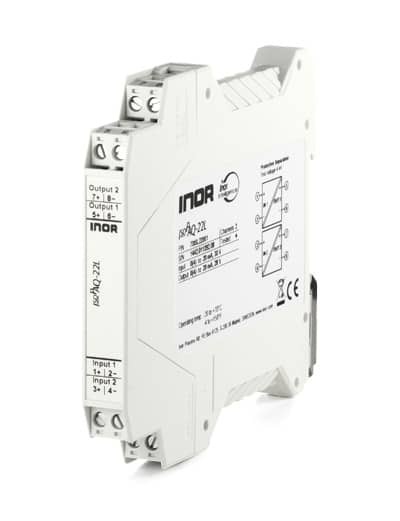 The high isolation level of 4 kV provides an effective protection for downstream devices. IsoPAQ-22L offers a very cost effective alternative combined with a high-density mounting.